Journalism student, and Ayr RFC member, Callum Kerr is on his way to New Zealand to take up his role as one of Scotland's ambassador to the British and Irish Lions. 20-year-old Callum, who played age-grade rugby at Millbrae and is a regular in the press box at Ayr and other BT Premiership clubs, has just finished the third year of his sports journalism degree at UWS. 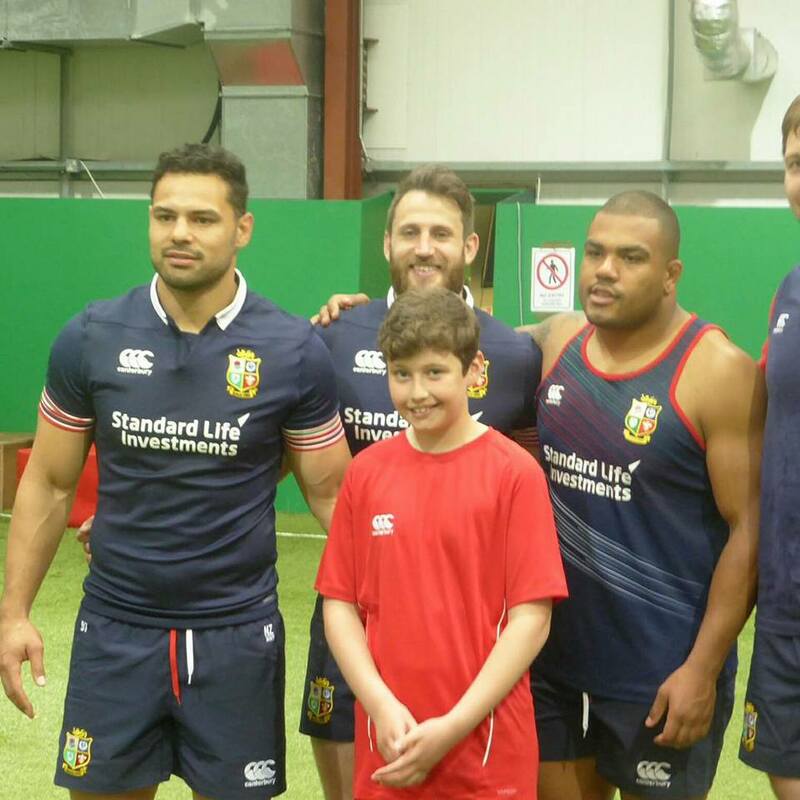 Along with ambassadors from England, Wales and Ireland, Callum will travel to New Zealand's North Island, attending the Lions' warm-up matches and the first test, as well as visiting local clubs and meeting players. We wish him all the best for this travels and look forward to hearing about his travels when he returns. 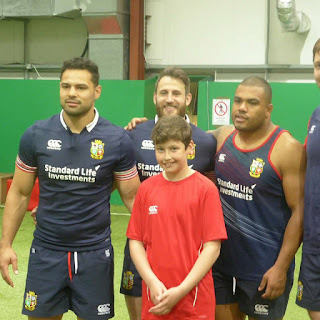 Also rubbing shoulders with the Lions was Ayr-Wellington P6s' Euan Doak, who won a competition to attend training with the team in Cardiff before they left. It was a brilliant day for Euan and his family, as he got to meet the players and get some autographs from the likes of Stuart Hogg. Thanks to Heather Doak for the photo.